It’s annoying to sacrifice taste for health on Thanksgiving. That’s why we’ve provided preparation techniques to get more nutrients into your meal and strategies to prevent overeating so you don’t have to count every morsel of food during the big feast. We’ll also settle the great debate over white and dark meat — is one really healthier than the other? What's Thanksgiving without mashed potatoes? Most mashed potato recipes call for peeled spuds. A potato is still healthy without its skin, but extra nutrients are needlessly wasted when we discard the outer layers. The skin is notably a good source of fibre, which is important for digestion and keeps you feeling full for longer. 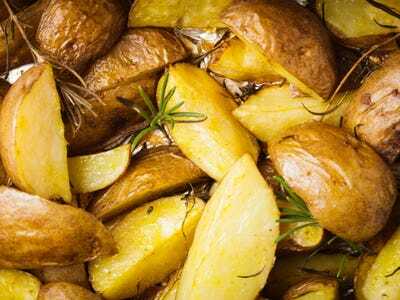 To lighten your mashed potato dish, which traditionally incorporates heavy cream and butter for a smooth consistency, many chefs suggest using Yukon gold or red-skinned potatoes, known for their natural buttery flavour and creamy texture. You can also make whole, roasted potatoes. Enjoy the natural flavour of cranberries. 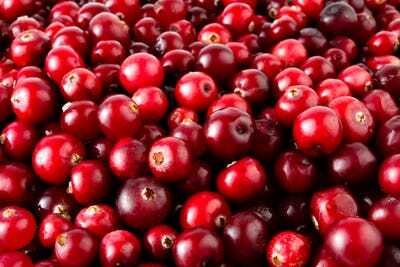 Cranberries often show up on the Thanksgiving table in the form cranberry sauce or bread -- foods that we tend to overeat because they are sweet. But there are ways to enjoy this little tart fruit -- which reach their peak colour and flavour between mid-September and mid-November -- without bathing them in sugar. One cup of whole, raw cranberries is a bargain at only 46 calories, while providing 4.6 grams of fibre, along with a small amount of protein, and no cholesterol. To incorporate more cranberries into into your holiday spread, consider throwing them into vegetable dishes like Brussels sprouts, stuffing them into acorn squash, or roasting them with herbs.